Lionel Burrell is probably best known for his journalism but was art trained in Manchester at the Junior Art School and then at the Regional College of Art. Initially worked as a commercial artist and designer in advertising agencies. 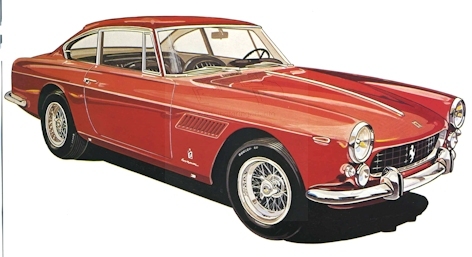 Joined IPC magazines in the late ‘50s on Car and New Motorist before becoming Art Editor of Autocar magazine in 1968. 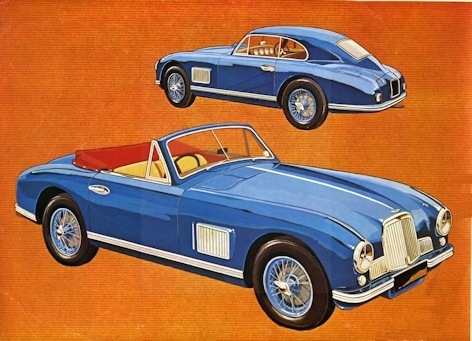 It was Lionel’s idea to start the world’s first magazine on classic cars first called, Thoroughbred and Classic Cars. This was successfully launched in 1973. In addition he freelanced from 1960 to 1995 for Car magazine, Classic Car Profile publications, The Motor magazine, Eagle Comic and a number of national newspapers. 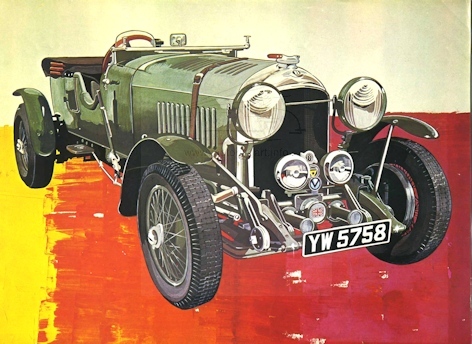 In the past has also produced motoring art and illustrations for a number of book publishers. Since 1996, has been Managing Editor of The Automobile Magazine. 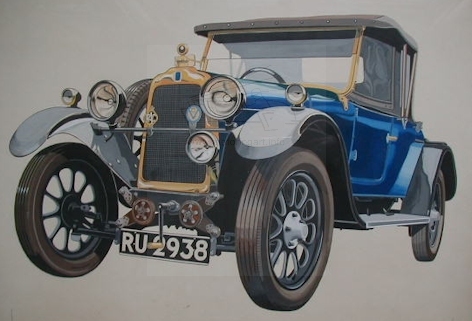 Has owned over 40 vintage and classic cars and a 1946 Piper Cub Aeroplane and also helped start the worlds first classic restoration course at The Colchester Institute. 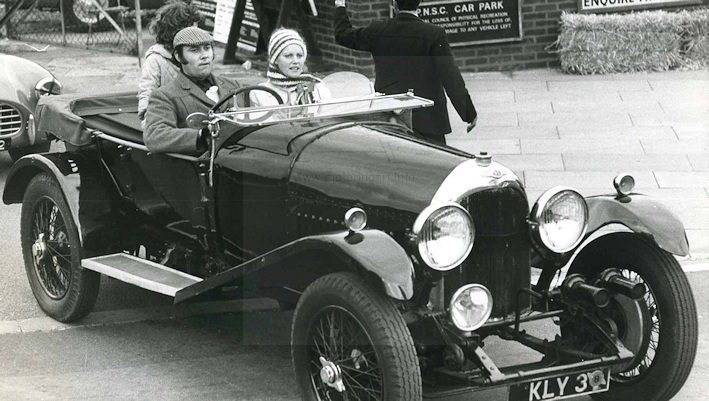 At present he is a member of The Guild of Motoring Writers and The Colchester Vintage Car Club. 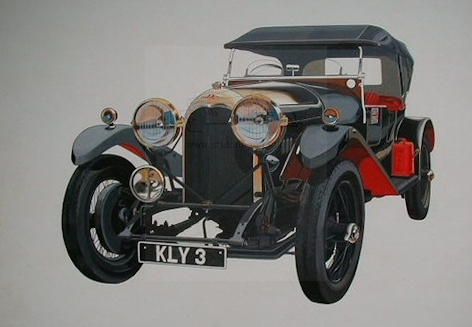 Painting of Talbot car Lionel used to own. Fiat artwork for Profile magazine. 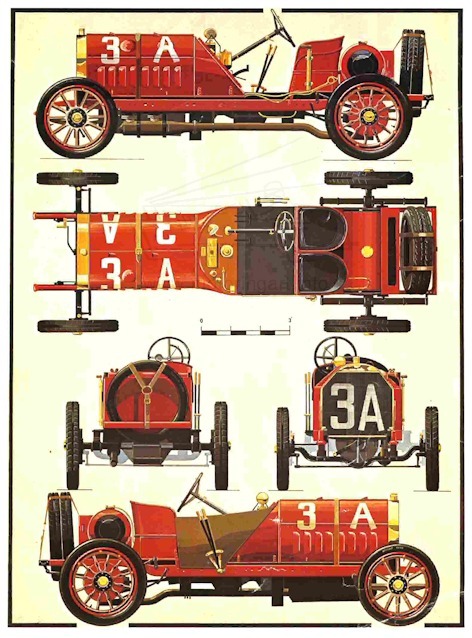 Ferrari painting for Autocar magazine.